I was reading Frankie Magazine the other week and came across this article where selected creatives were asked a series of questions. I enjoyed it because it was as if I was looking into their lives, their personalities, inspiration and how it translates into their work. For those interested in understanding me, here's my version of the creative tag. My name is Ally. 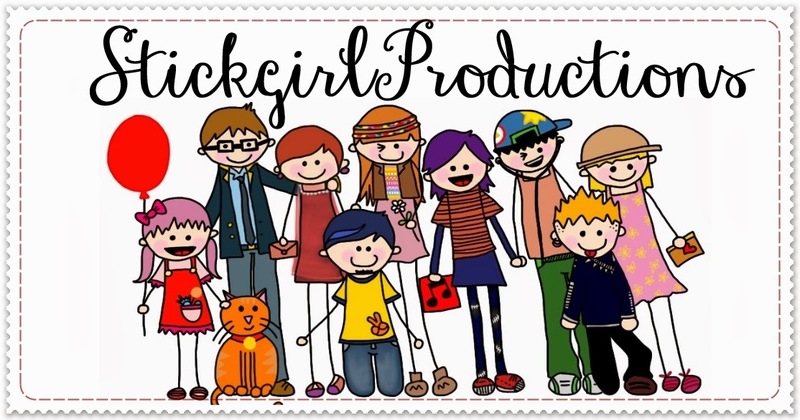 And I am the owner, illustrator and designer in my own company called StickgirlProductions. I would describe my job as a creative outlet where I can spend hours lost in creating ways to bring smiles to people. 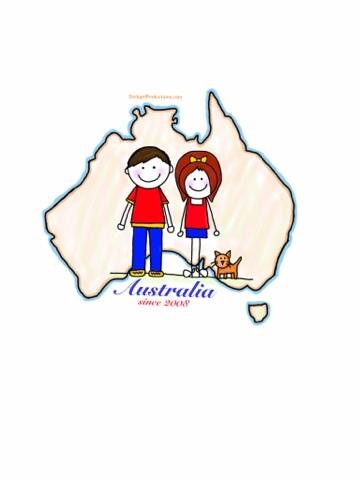 I am perfect for it because I am able to translate my imagination into fun designs. Right now I am balancing between working on creating my brand, starting my own online shop, completing orders and looking after my family. You can see it on my blog (www.stickgirlproductions.com) and on Facebook. I am most inspired by my cat-son Monty, my husband and through watching people live their lives. My creative hero is the everyday person who loves living life. I love them because their lives are stories waiting to be told. I love telling their stories through my pieces. The best piece of advice I've received is "there are no dead ends." If a plan fails, another road always appears. The worst is "to fit in and not stand out." No one can be you other than yourself. In my spare time I like to hang out with my husband and cat, observe the world around me and take bubble baths. My career path was found by accident. I couldn't find a job as an economist so I sold my pieces to earn some pocket money. Then the orders for custom pieces started coming in. Some of the challenge I've had to overcome are self-doubt, fear of the unknown and uncertainties and being in uncomfortable situations. I've got through them by surrounding myself with people who provide me with constant honesty, encouragement and support to keep pushing my limits. The things you most need to do my kind of work is an observing eye, the ability to imagine and passion. The biggest lesson I've learnt is that plans don't always work out, everything takes time, hard work and dedication. My life motto is keep calm and pray. Prayer is the best thing you can do for yourself. One thing that frustrates me is messing up when a piece is almost completed! When I was little I wanted to be the person I was born to be. One day I will tell my children that "NO" is not the end. Set goals and aim to reach them. If you fail, it is not the end.